I agree with Matros implicitly, but I think game selection is only one issue at the WSOP, and might not even be the main issue. In my mind, the duplicate tournaments and the reduction of $10,000 buy-in events has hurt the WSOP in recent years. Do we really need seven $1,000 No Limit Holdem tournaments? Six of these tournaments are completely identical with the seventh being a turbo event. Making matters worse, that number jumps to nine if we include the Senior’s and Ladies’ tournaments and a full 10 if you include the Little One for One Drop $1,111 buy-in event. How about 12, yes 12, No Limit Holdem tournaments with a $1,500 buy-in. Matros’ description of the WSOP as the World Series of No Limit Holdem is a bit off, it’s actually turning into the World Series of Side Events. The elimination of all $1,000 buy-in tournaments (with the exception of the Ladies’ and Senior’s Events) would be a great start. 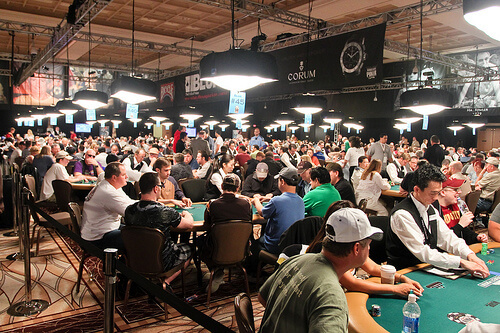 The WSOP could always keep these events as they draw a lot of players (maybe make them part of the Daily Schedule or the Carnivale of Poker) but their elimination from the WSOP schedule brings the number of NLHE events down to 27. If we go a step farther and eliminate all of the duplicate $1,500 events (keep one standard $1,500 NLHE event, as well as the 6-handed, Shootout, and the ante-only) we are already down 19 NLHE events. Seriously, what is going on at the WSOP? What happened to the $10k Championship tournaments covering all of the different poker formats? First off, basically the same 150 players play these events whether they are $5k entries or $10k entries, so the reduction can’t be to attract more players. Second, why doesn’t the WSOP distinguish between these $10k tournaments and the other smaller buy-in events with a trumped-up bracelet or with some other type of additional prestige to these events? What I would do is offer a $10k and a $1,500 buy-in event for every game type. If we market the winners of these Championship events as “World Champions of…” and add prestige to the tournament itself it might get players to take a flyer in the $1,500 event and spend the next year or two learning that format so they can take a shot at the $10k Championship tournament in the future. This 47 tournament schedule leaves the WSOP some wiggle room to add three experimental tournaments each year and have a nice 50 game schedule. I wouldn’t even mind if the WSOP added 10 more events with an intermediate buy-in of $2,500 to $5k. For the $1k NLHE junkies the WSOP can still hold these events every weekend, but instead of a bracelet maybe award the winner a WSOPC ring or simply a trophy.